"I'm a freelance designer, illustrator and South-Coast Canary from Brighton. I produce a combination of hand-drawn and digital designs for a wide range of printed products, online media and painted murals. Away from my client work, my self-driven projects include illustrations of birds, old-school pro wrestlers and as much 80's/90's pop culture as possible. Although my final product will always have a very polished, bold digital look to it, the majority of everything I do will start off as a tiny pencil doodle as I will always love just doing it the old-fashioned way. Being powered by the 1980’s, I try to incorporate retro-style patterns into my designs; a zig-zag here or a squiggle there. You'll always find super-chunky linework as the core of my pieces too, whether I'm working digitally or on paper. I was really pleased when I was asked to illustrate 'Beaming Lord Sutch', as my memories of him have always been; 'Mr. 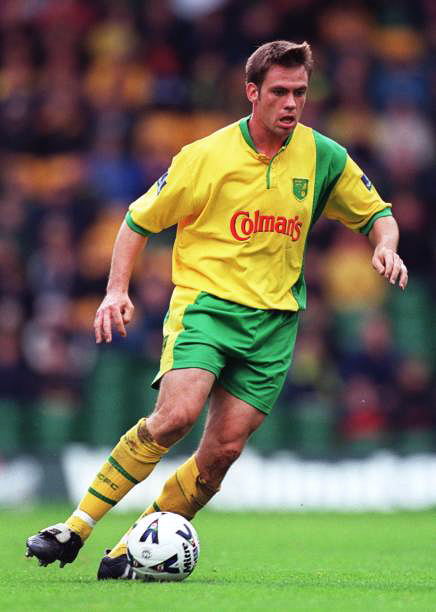 Norwich, loyal to the club, right 'til the end, always put a 100% shift in (even when he had to go in goal), his always excellent hair and dimples you could park your bike in! 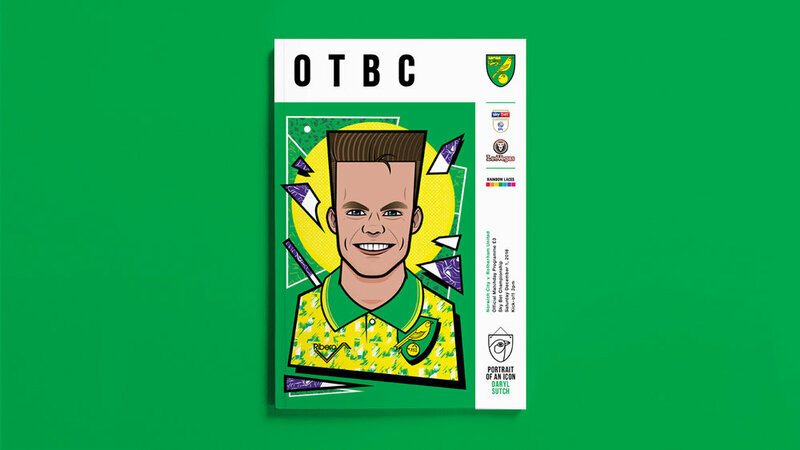 I was only a youngster during the 92/93 season but I'll always think of the big, fluffy flat-top haircut he had during that period, which has (of course) been featured in the piece I've produced."